The hotel has a total of three rooms, two double rooms, and a four-bed room. All rooms have sleeping lounges for extra guests. The rooms have cable TV, bathroom and air conditioning. The hotel offers guests a lounge with TV, pool, wi-fi and restaurant service. The hotel offers transfers from and to the airport, or anywhere in the country. Also offer boat trips, fishing trips and surfing trips. 1 Kilometer west of Playa El Cuco and Playa Las Flores. 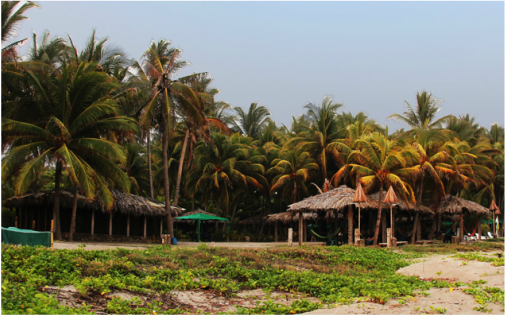 Comfortable accommodation on the beach of El Cuco. Single, double and multi-bedded rooms, with fan or air conditioning, restaurant and barr. Spectacular hotel with a panoramic view of Playa Las Flores in the eastern part of El Salvador, just a kilometer away from the town of El Cuco. The hotel offers three rooms with exclusive, first-class service for national and international visitors. Prices can change depending on season!